Copyright experts look forward to the Supreme Court’s ending this disagreement over Section 411(a). “What is important is that the Court resolve the circuit split one way or the other, so that we can all stop spending time and money arguing about the issue. The ambiguity has existed since the 1976 [Copyright] Act was enacted, and the circuit split has festered since the mid-1980s. So after decades of arguing, we’re finally going to get an answer,” said Prof. Tyler T. Ochoa of Santa Clara Law School. Fourth Estate will have important ramifications for copyright owners, according to some amici, such as the Authors Guild (which represents many writers in the US). These amici note that the case will decide whether a US copyright owner can sue for infringement as soon as an application for registration has been filed, or whether the copyright owner must wait after the Copyright Office has ruled on the application. The time difference can be significant. Applying for registration is fairly easy, inexpensive, and fast. But if a copyright owner cannot sue until the Copyright Office makes a decision on the application, the owner may have to wait for quite a while. In 2018, the Copyright Office took an average of 16 months to render its verdicts on applications. During those 16 months, a copyright owner could not seek an injunction to stop infringements. Moreover, the copyright owner could never recover the damages caused by those 16 months of infringements. Another harm, it is argued, will result if Copyright Office inaction winds up delaying infringement suits. Some copyright owners (who wait a year or so before filing for registration) will be unable to sue until after the three year statute of limitations for infringement suits has expired. Thus they will be unable to bring infringers to book. These worries are overblown, according to many copyright experts. “Missing the statute of limitations … is not particularly important, because you can still sue for new uses,” said Prof. Jessica Litman of University of Michigan Law School. If the infringement is continuing, the copyright owner can seek relief for any infringements that occur on or after the date the lawsuit is finally filed. And if the copyright owner really wants the Copyright Office to act right away – so an infringement suit can be filed – the copyright owner can make that happen. The owner need only request the Copyright Office provide “special handling” for the application and pay a fee of $800. The Office aims to process such applications in five business days. Because of all this, the Supreme Court’s decision in Fourth Estate will be of little practical consequence, according to many copyright experts. No matter how the court rules, practically all copyright owners who want to sue quickly will be able to do so. Still, copyright experts still think it would be nice to have a definitive ruling on this legal issue. “This is one of those cases where it matters less what the rule is, than that everybody knows what the rule is. So long as the Supreme Court says what the rule is, that’s good enough,” said Litman. Other countries don’t have this issue – at least none of the other 175 countries that have signed the Berne Convention. Under that international copyright treaty, “copyright is the natural right of the author, and … copyright protection is not conditioned on formalities, such as registration,” noted Ochoa. That’s particularly important in the US, because US copyright law can make it unusually difficult to find out who owns what rights in a work. “Other countries don’t need [registrations] because copyrights are not so freely alienable,” said Litman. Copyrights in most Berne countries remain with authors, but that’s often not the case in the US, where the copyright in a work can be sold repeatedly, to different parties. The result is that there are “so many, many [US] works for which you can’t figure out who owns the copyright,” said Litman. These are often called “orphan works” – works which cannot licensed (and thus cannot be used) because copyright ownership is unknown. 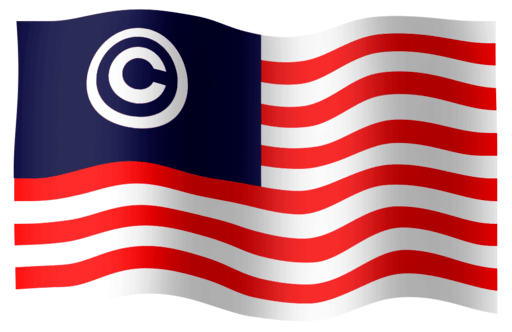 The difficulty of locating a work’s copyright owner is compounded by the divisibility of copyrights in the US. A book’s author, for example, can sell the adaptation rights for a movie to one buyer, the rights to a stage production to a second buyer, and the rights to a TV series to a third buyer. Without registration of these copyright transfers, tracking down who owns what rights can be a nightmare – and is sometimes impossible. Licensing copyrighted works is far less of a problem in other countries. “Most countries have collecting societies for lots of common uses. For instance, if you want to make a photocopy of book, there is a designated agency to go to for a license,” said Litman. The US has relatively few collecting societies, so tracking down the appropriate copyright owner is often required. The problem of orphan works is unlikely to be changed by the Supreme Court’s decision in Fourth Estate, regardless of how the high court rules. Even if the court holds that registration is a prerequisite for an infringement suit, that is unlikely to push many people to register, many experts say. The underlying problem is that since the US joined Berne and revised its Copyright Act in 1976 – thus abandoning the requirement for authors to register their works in order to receive federal copyrights – US law has provided insufficient incentives for authors to register, according to experts. “The number of copyright owners who register their copyrights has gone way, way down since Congress passed the 1976 Act and the US joined the Berne Convention,” said Litman. That is bad for owners of orphan works, bad for those who wish to license such works, and bad for the general public who are deprived of new uses of these works. Everyone loses. Unfortunately, for the foreseeable future, the number of orphan works seems likely to grow, and the orphan works problem in the US will only get worse. "US High Court To Confront Unique Copyright Issue" by Intellectual Property Watch is licensed under a Creative Commons Attribution-NonCommercial-ShareAlike 4.0 International License.